The NEW Super Record chainset has a more aerodynamic design than the previous version, with the carbon spider stretching all the way up to the chain ring, creating a cleaner more aesthetically pleasing design. The hollow carbon construction offers a low weight without sacrificing stiffness or reliability. The chainring bolt design has also changed from four to eight, which enhances the chainsets stiffness further. 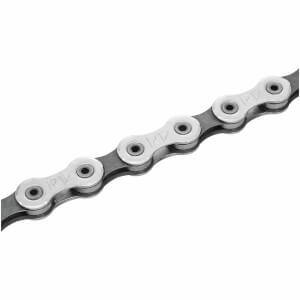 The chainset is available in four sizes and three chaining combinations.